Family trips are the best. Know what’s even better? Surprise family trips. Think of the excitement that builds when being able to reveal a huge surprise to your children and spouse about an upcoming family trip. You’ve spent countless hours planning, racking your brain with fun ideas and researching constantly to find the best deals out there. Then, it’s time for the big reveal. The dilemma? 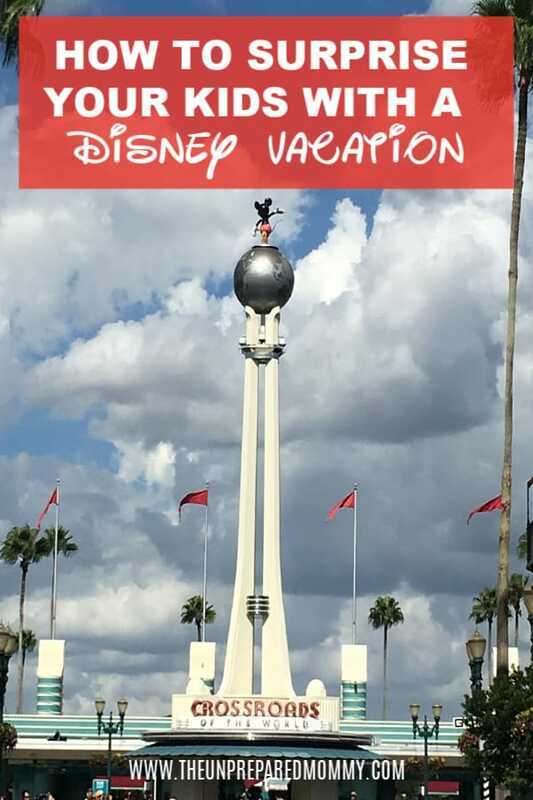 You are the only person in the know about your family’s upcoming trip to Disney. Why this isn’t a bad thing necessarily, it just means that you now get to also think of different ways to let your family in on this little secret, entirely on your own. Let the games begin! 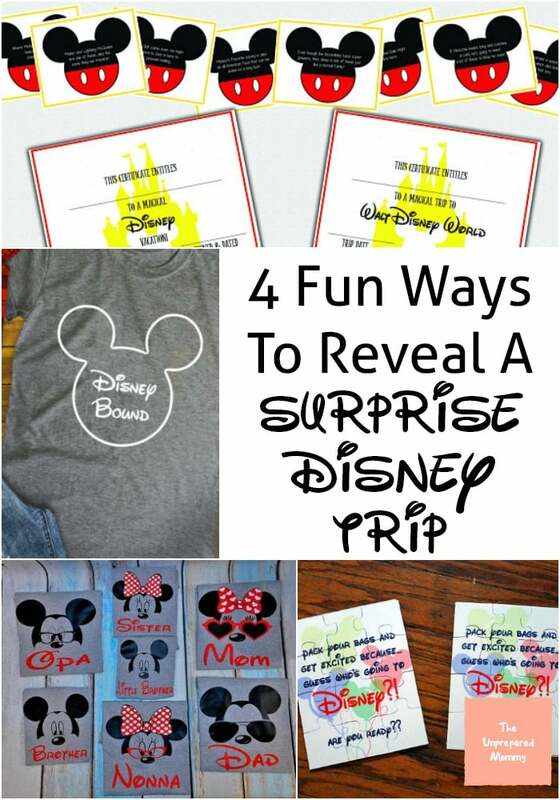 If you’ve never revealed a surprise Disney trip to your family before, here are some fun ways to let them know to try to get them excited and ready to pack their bags! Who doesn’t love to play games? Let your crew know that you have a surprise to reveal to them, but first…they have to follow the clues to get the “treasure”. Have fun with this! Make up different Disney-related clues if possible, but don’t go overboard with them as you don’t want to reveal it too early! Try clues such as “If Mickey Mouse were hungry, where would he find his next meal?” and then place the next clue in the fridge in the cheese drawer. Having a couple Disney related clues will only add to the excitement! At the end of the treasure hunt, have a couple Disney character stuffed animals waiting for them. 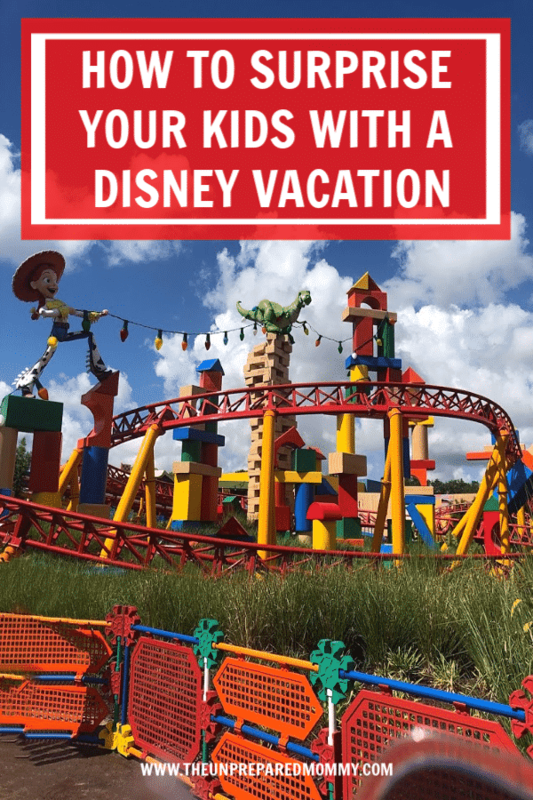 While they may be puzzled at first, let them know that you thought that they would enjoy having some temporary Disney snuggle buddies during the trip before getting to snuggle with the actual Disney characters in person. Then…wait for it. Once they realize what you mean, shrieks and screams are sure to follow! This is an easy treasure hunt if you are looking for ideas! Give them a puzzle to solve. Yes, literally have them put together a puzzle! Purchase a Disney puzzle already made or head to the store and buy an easy to put together puzzle for them. Lay the pieces on the table face up and tell them that you have a puzzle that needs to be put together in order to reveal a fantastic surprise. Have them work together as a team to start fitting those pieces together. Slowly, as the puzzle begins to form, watch their eyes light up as they start to identify the characters within the puzzle. Once complete, confirm their suspicions that the final piece to the puzzle is a surprise Disney trip! Have them unwrap a custom-made gift. Unwrapping a present is an awesome feeling, but then unwrapping a present that is a hidden meaning for an even bigger gift? Amazing. Have custom Disney shirts made for your entire crew. Have fun with this! There are so many Disney shirt ideas. You can go simple and have the Mickey Mouse ears silhouette and a simple” Disney Bound 2018″ printed underneath, or even have their names added on the shirt as well for that special touch. Make certain to have them put them on and snap a picture up for that memory book! Now they can have their cake and eat it too, right? Plan ahead and make up a couple dozen cupcakes. On each cupcake, write out a letter. Then, place them on a platter so they spell out “Going to Disney”. The fun part? See how long it takes them to realize what it says and means. Then, celebrate by talking about all the rides and plans that they want to do and have, and enjoy eating up those delicious treats as well! 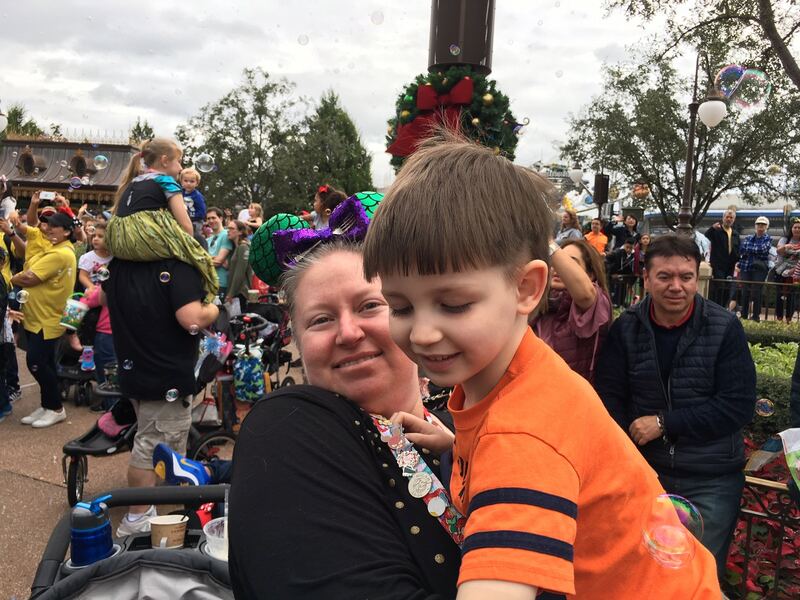 Surprising your family with a Disney trip is such a fun and unique opportunity. How many times in life do you have the opportunity to leave them speechless from surprise? My guess…not many. Have fun with the different ways that you can have that big reveal! Try a few of the suggestions above or brainstorm on your own different ways that you can “wow” them. In the end, all that matters is that you are all going to get to go on the epic family trip together! Adventure awaits!